We appreciate your interest in our inventory, and apologize we do not have model details displaying on the website at this time. Please fill the form out below and our team will quickly respond, or, please call us at 816-774-1100 for more information. 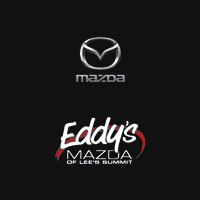 Whether you’re looking for a compact Mazda CX-3 to give you a more sure-footed Kansas City commute, or your family is searching for a Mazda CX-9 to give you more space to stretch out on those many outings into Independence, you’ll find it and more in the wide selection of used AWD SUVs at Eddy’s Mazda, including AWD Mazda models. We make it easy to get the information you need and support you can trust, so you drive away knowing you’ve made a great deal. Schedule your Fenton area test drive today to see how much better used car buying can be with a dealer who cares about you.